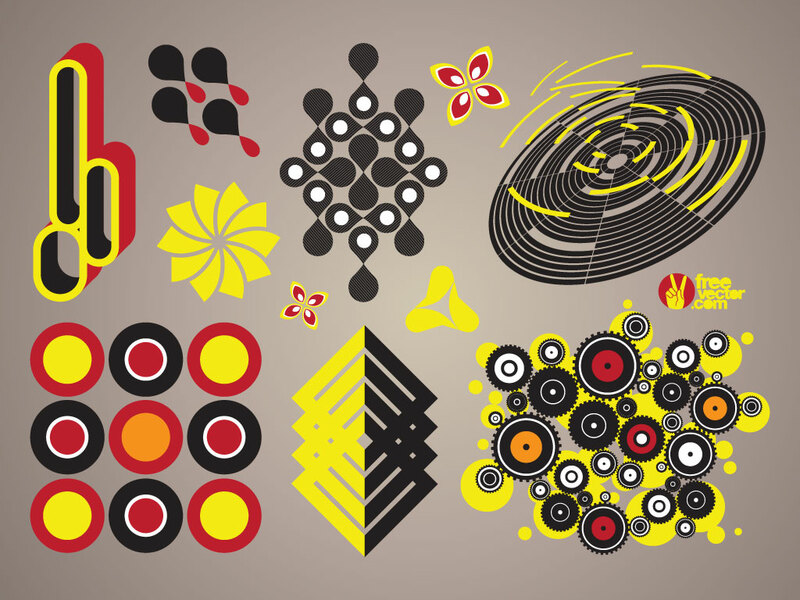 This modern vector pack is filled with cool geometric, abstract and organic shapes. Great elements for building modern collages, illustrations and t-shirt designs. Download as AI and PDF for your projects. Tags: Abstract, Branding, Ellipse, Gears, Geometric, Icons, Shapes.